Walgreens has two separate deals right now that will generate Register Rewards when you buy Gillette products. Final Total: All Free + $1.13 Money Maker! 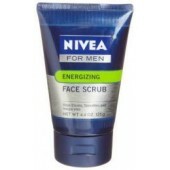 Also, you can take advantage of this deal on Nivea Men's Face Products. *Thanks Hip 2 Save for posting these deals!